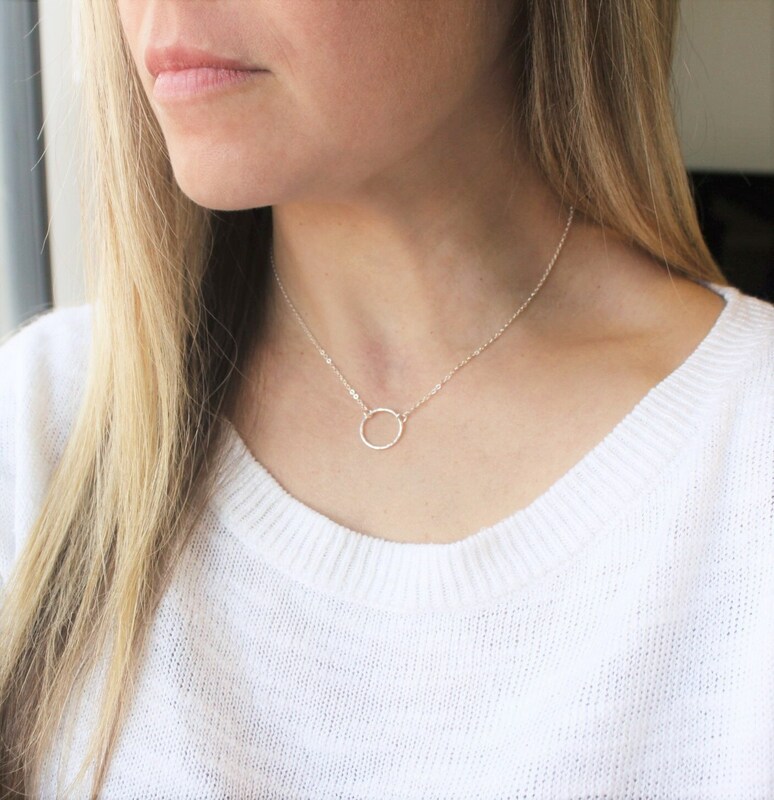 The perfect silver necklace for everyday! 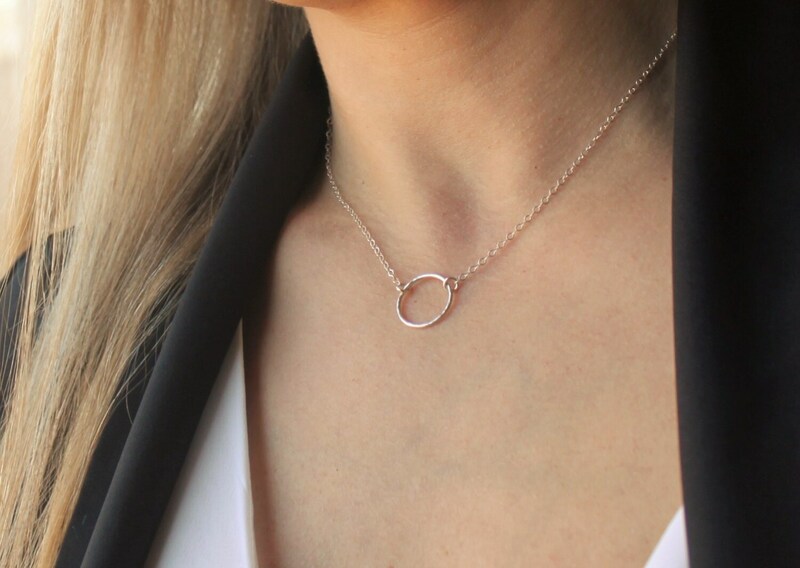 Our dainty eternity ring necklace is a simple yet elegant way to wear a symbol of forever! 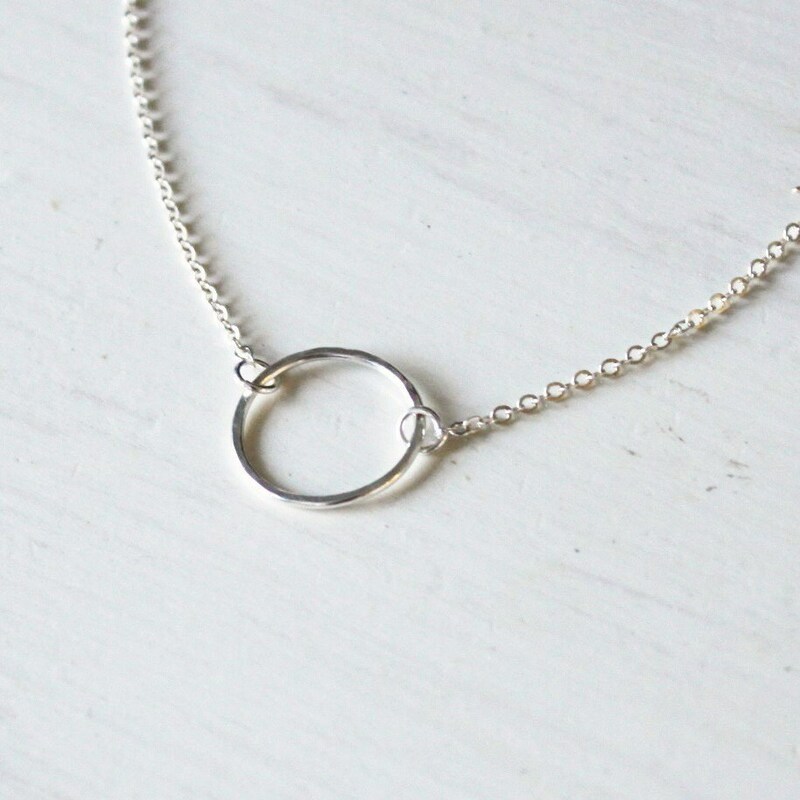 This necklace is created with a 15mm sterling silver eternity ring that is lightly hammered for texture and suspended on a shimmering sterling silver link chain. -15mm sterling silver ring hammered by hand for an elegant finish. - Model is wearing 16" in Photo 3. Nice quality jewelry. Never disappointed. I really liked this necklace but after wearing it three times it broke on the fourth. 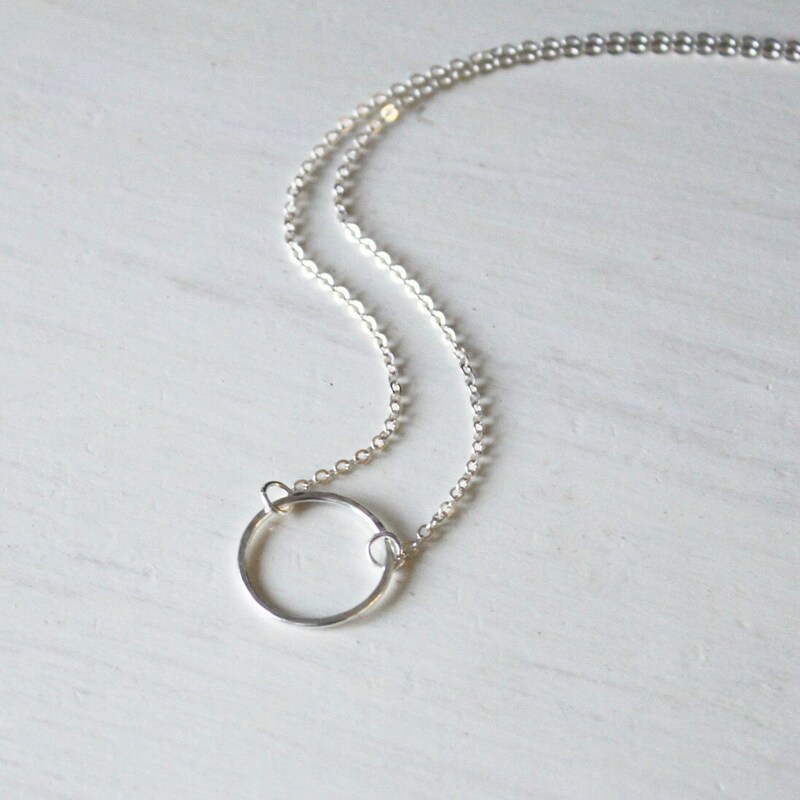 I've order from TheSilverWren before and will again but just sad that this piece broke. Oh well!